After putting out their debut LP in 2009, Randy Records is following up with the third 7″ single from Chicago trio THE YOLKS. 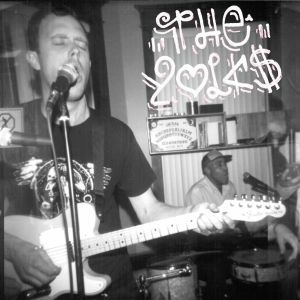 It’s their first release since their 2013 cassette, continuing their take on rugged rhythm and blues. Released on the first day of 2014, this 7″ will eventually lead to a sophomore LP from the trio. It’s slated to be dropped sometime this spring, and after a rocking little single like this, spring just isn’t soon enough. “Two Dollars Out the Door” is a gritty little blues number, built with howling vocals, jangly percussion and crunchy guitars. It’s an invigorating way to start the single, boasting a poppy charm with a bluesy/folksy flare that keeps your foot tapping. “Pretty Thing” is a true rhythm and blues burner, driven by tinny vocals and blown-out harmonicas. It’s a cover of Bo Diddley’s original track, where guitars sound ragged and metallic. The Yolks use this track at the end of their live shows, with the goal in mind to completely lay waste to the audience. You quickly get the picture how that might happen. Go ahead and snag the 7″ from Randy Records, because that stuff won’t be around forever. The version of “Pretty Thing” below does not come from this 7″, however we still thought you’d like to get an idea, so get listening! 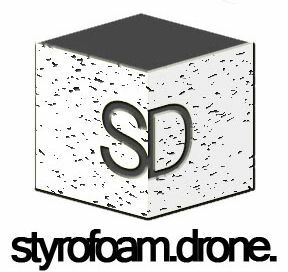 Posted on February 26, 2014 by styrofoamdronePosted in 7", Reviews, Still Spinnin'Tagged blues rock, garage rock, Lo-Fi, Randy Records, The Yolks, Two Dollars Out the Door.